Looking for some real online deals that can fetch you lower hotel room rates, vacation packages, plane tickets and car rentals? All of this and further in this article that will cover both domestic and abroad packages. Travelling cost has increased significantly in the last few years and with this economy we always feel troubled with one or two aspects. However, it is always good to look for the following best travel sites that can provide some great and good deals that can’t be matched. So, without further talks, let’s see what these best travel sites have for us, don’t be surprised if you get the best bargains on airfares, car rentals, vacation packages and hotel rooms. Moreover, enjoy your travel. Kayak has dramatically improved in the last few years and is at present considered the best travel site for both searching as well as booking. It can provide you valuable assistance for complex flight itineraries for leisure as well as work. In addition, it includes car rentals, hotels, vacation packages and other travel related deals. It has outstanding features of price alerts which will help you to know when a certain flight price has fallen to your desired level. You can also receive daily or weekly update on ticket prices via email. The site has some excellent exploration tools with which you can practically take a trip across the globe in search of cost-effective travel destinations-similar to Google. And now you can make a booking directly to Kayak which was not possible previously. WhichBudget.com can help you create a cheap offshore flight plan by using budget airlines. 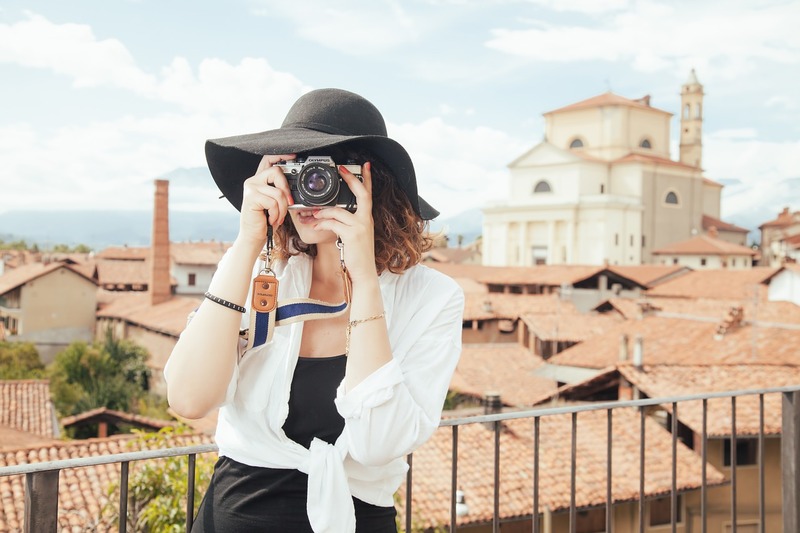 This is a great way to cut down on your expenses while travelling overseas. Just select the starting and the end points, and the site will come up with a bunch of airlines which you may have not heard of. For instance, if you search for flights from Beijing to Bangkok, you’ll be able to select flights from Hainan Airlines and China Eastern. Whether you’re looking for all-inclusive holidays, self-catering stays or package deals, with loveholidays.com you can find the holiday you want, at the hotel you want, at the time you want. Google Flights delivers instantaneous results on air travel. The site has gained popularity on the following aspect: a) aiding you to price out your flights ( one-way, multi-city and roundtrip ) very fast, b) allowing you to scan potential travel spots anywhere in the world at a particular time to hook up a bargain and c) allowing you to fix dates when specific flight rates are cheaper-with the help of an interactive graph. However, the site does not offer any direct purchasing. It can provide you links to the website of suitable airlines. This way you can book your tickets directly. In Your Pocket is an honest and entertaining website. It includes more than 100 cities in Europe and all the fundamental content has been well-organized . The website is user-friendly and includes a collection of Youtube vignettes. This is the most popular site for getting reviews of hotels, with millions of professional and amateur hotel reviews. Search for the destination and the site will come up with a list of hotels, home stays, vacation rentals, bed & breakfast and additional lodging alternatives. The results can be filtered to find the best hotels for value, business, luxury, romance or families. However, be careful of fake reviews from allies who want to push up the rating of their own hotel or inflame their competitors. Ignore reviews that are extreme-instead concentrate on midrange ratings. The site does not offer any real deals or sell rooms- however, it connects you to partner sites like Travelocity, Hotels.com and Expedia. Orbitz is perhaps the most convenient site for finding cheap hotel prices, cruises, airfares, car rentals and various vacation packages. If you are someone who would not like to get into all the intricacies of the flight but would like to book a business travel or vacation, the site will do the job in no time. With a few mouse clicks, you can get a flight, car rental and hotel room, and have all of it paid within minutes. Jetsetter is the best site for deals related to luxury hotels. Invited members are given exclusive access to steep discounts for a restricted time. If you’ve some amount of flexibility with respect to where you’d like to travel, the site can do wonders. The site has approximately 15-30 of flash sales available straight off. Similar sites can offer a few sales at once. Also, you can save around 50% of all the published rates. Generally, the sales last from 7 to 10 days. Hipmunk is a hotel and flight search aggregator. However, it’s best suited for hotels. Besides searching a massive database for available hotels, it also includes Homeaway and Airbnb to give you the alternative of putting up in other kinds of accommodations. The site has a feature of heat-map, which displays prominent regions of your destination with great night-life, shopping, restaurants and even those that are considered family-friendly. An important point to observe is that booking cannot be done directly through the site. It’s similar to Google Flights wherein you are directed to the suitable provider for reservation and payment. TripIt offers a worthwhile and unique service as it can find automatic email confirmations for forthcoming travel plans. Following this, it collates the information into integrated itineraries. TripIt for Android and TripIt for iPhone are the mobile applications of the site are some important aspects of the site. The collaborative features allow you to share your itinerary with family and friends. You can also add these people as travellers. TripAdvisor-owned Seatguru allows you to find the precise aircraft of your approaching flights. It assists you to find suitable seats which you’d like to reserve much ahead of time. The site has an excellent interface, packed with diagrams and handy colour-coding. Some airlines, however, are not included in the database of the website. These include Japan Airlines, Tatarstan Airlines, All Nippon and some more. However, you can find information on these carriers on SeatExpert-a dark horse whose services are quite similar.